A Holy Communion can be a very special event in a child’s life. 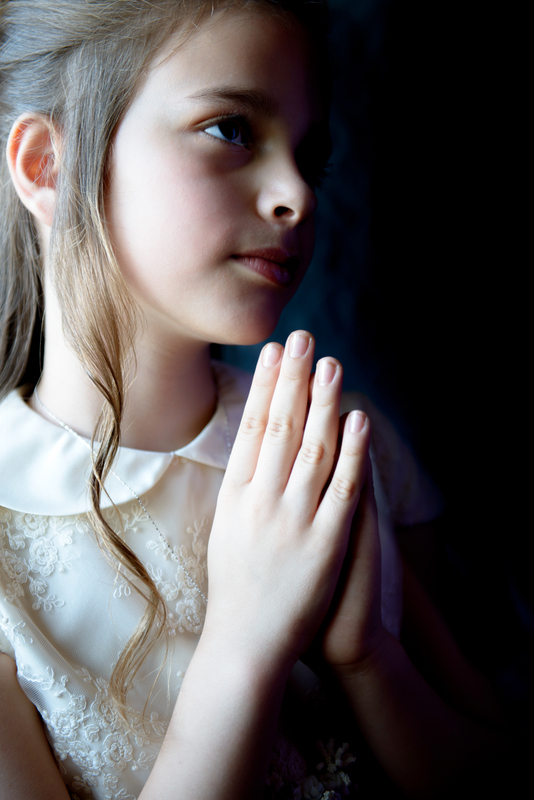 Most Catholic children will receive their first communion at around seven or eight years old. Having a party to celebrate will help create long lasting memories for your child, of this sacred moment in his or her life. Pick a gorgeous communion invitation that will grab people’s attention. And try to send out the invitations as early as possible, in order to get onto everyone’s calendar (the Holy Communion Season is pretty short!). Are you going to have a small intimate gathering with just family and a few close friends, or will you be going all out and inviting everyone including class mates and neighbours? If you want to take some of the stress out of the day, a good idea is to hire a caterer. Do some research beforehand, ask around for some recommendations and book early. If you’d like to go a more inexpensive route, try to keep it simple and don’t say no to any offers of helping hands! Also, remember this is a party for all ages so you’ll need to make sure that you have food for both adults and children. Talk to your child and see if they have any ideas themselves about the party entertainment. Children of 7 and 8 still love a good magic show. Another idea could be Kids Bingo and karaoke is always fun whatever your age! The entertainment is something else you will try to organise sooner rather than later. Lots of kids have their communion parties around the same time, so you will want to make sure that you book your entertainer (if that’s what you are planning) as soon as you find out the date. Another decision you’ll need to make is whether or not to use your own dishware or dispoable. There are some really nice disposable tableware sets out there. They may add to the expense but you will appreciate them when it comes time to do the tidying up! Pick a colour scheme (maybe ask your child for some suggestions?) to tie the table together. A classic colour to pick is white of course. Most of all, enjoy this special day!